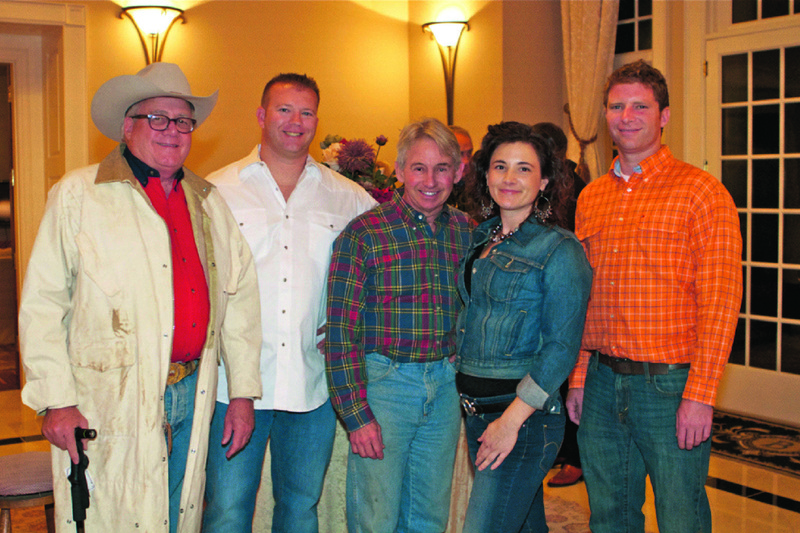 The photograph below was taken October 27, 2012 at a “Western Wear” party given by Dr. George Privett to introduce his two new radiologists, Jason Harris, MD and Robert Pope, DO. With me is M.D. Update co-publisher Megan Campbell Smith and Dr. Privett who grew up in Texas and came to Lexington in 1968 for his internship and residency at University of Kentucky Hospital. 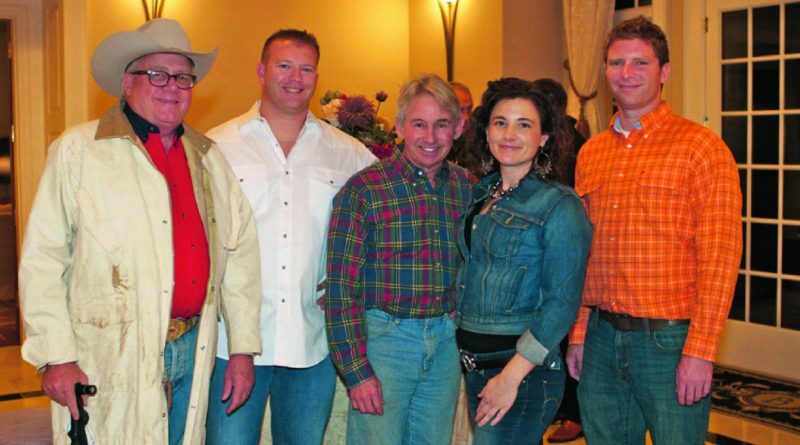 The gathering included other physicians like Dr. Bruce Broudy, of the Lexington Clinic and current president of the Lexington Medical Society. Dr. Broudy and I talked about the challenges of maintaining a private medical practice, getting new members to participate in local medical societies and the sorry state of UK football. For me, that evening epitomizes the great joy that comes from publishing M.D. Update magazine. For five years, we have met, interviewed and photographed thousands of Kentucky physicians and healthcare professionals. Our goal has always been simply to give Kentucky physicians and healthcare providers the opportunity to speak to one another through the pages of M.D. Update about their work and sometimes their personal story. To connect, to renew, to get an update. There is a very long list of doctors that I have come to know and admire. Doctors who gave their time to participate in our project. Among them are Cameron Schaeffer, John Borders, Marty Luftman, George Privett, Mark Slaughter, Rebecca Terry, Ann Grider, Lori Warren, Pat Murphy, Bill Witt, Mike Zachek, Ron Shashy, Amberly Windisch, Ken Weaver, Ted Wright, Dermott Halpin, Ira Mersack, Robert Bratton, Steve Strup, David Bensema, Ardis Hoven, Ben Kibler, Richard Lingreen, Anir Dhir, Hamid Mohammad-Zadeh, Randy Rowland, John Belanger, John Kitchens, Sylvia Cerel-Suhl and many, many others. There have also been many allied professionals who contributed their knowledge and expertise to our pages. And of course, we thank the advertisers who believe in and support M.D. Update. Thank you for giving your time and your interest for the past five years. Happy Holidays.